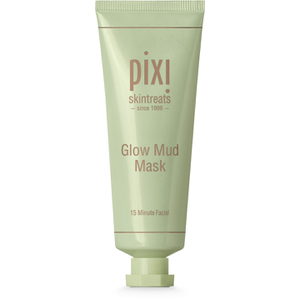 Revitalise the look of dull, tired complexions with PIXI T-Zone Peel-Off Mask, a purifying face mask that helps detoxify skin. Infused with a superfood blend of Avocado, Cucumber, Aloe, Green Tea and Bamboo extract, the peel-off mask effectively firms and refines the appearance of skin while decongesting pores. It draws out impurities and oils to leave skin feeling purified and refreshed. Tired, weary skin appears brighter and well-rested. Use 1-2 times a week or as needed. Apply a thick even layer to T-Zone only. Leave on until completely dry then gently peel off. Avoid eye area, eyebrows, hairline and lips. Do not use on skin that is irritated, broken or sunburned. Water/Aqua/Eau, Polyvinyl Alcohol, Polyvinyl Acetate, Alcohol Denat., Aloe Barbadensis Leaf Water, Phyllostachys Nigra Leaf Extract, Persea Gratissima (Avocado) Fruit Extract, Camellia Sinensis Leaf Extract, Cucumis Sativus (Cucumber) Fruit Extract, Chondrus Crispus Extract, Saccharum Officinarum (Sugarcane) Extract, Pentylene Glycol, Butylene Glycol, Ethylhexyl Hydroxystearate, Cellulose Gum, Caprylyl Glycol, Xanthan Gum, Phenoxyethanol, Fragrance (Parfum), Disodium EDTA. [+/- Bismuth Oxychloride (CI 77163), Chromium Oxide Greens (CI 77288), Iron Oxides (CI 77492)]. Made in Korea.